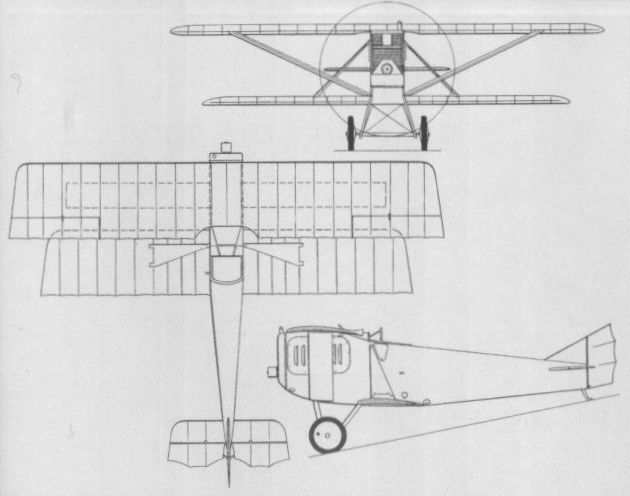 In the late summer of 1917, the Magyar "Lloyd" Repulogep es Motogyar (Ungarische Flugzeug- und Motorenfabrik "Lloyd") initiated design of a single-seat fighter triplane. The centre and lower wings of this fighter were fully cantilevered, the upper wing being supported by Vee-type struts. 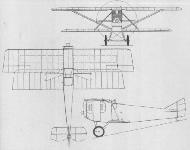 Another unusual feature was the adoption of rotating ailerons on the centre wing. The Lloyd 40.15, as the fighter was designated, was powered by a 185 hp Daimler (MAG) six-cylinder water-cooled engine. It reportedly made its debut in December 1917 (although, according to a report dated 1 March 1918, the prototype was in process of assembly at that time). No information regarding subsequent flight testing has survived. Loaded weight, 1,984 lb (900 kg). Span, 24 ft 11 1/4 in (7,60 m). Length, 23 ft 3 1/2 in (7,10 m). Height, 9 ft 3 in (2,82 m). Wing area, 238.96 sq ft (22,20 m2). Evolved in parallel with the Lloyd 40.15 and designed by Ing Hanns Wizina and Ing von Melczer, the Lloyd 40.16 single-seat fighter biplane was completed in December 1917. It offered an unconventional solution to the problem of providing the pilot with the best possible forward and downward view. The wings were given extreme stagger and were mounted independently, the upper wing being supported by a massive aerofoil-section strut which contributed some lift, a smaller triangular strut supporting the semi-cantilevered lower wing. 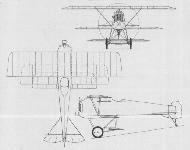 The Lloyd 40.16 was originally intended to be powered by a 200 hp Benz (Mar) engine and to have rotating wingtip ailerons. In the event, the 220 hp engine was supplanted by a 185 hp Daimler (MAG) engine for demonstration during the fighter evaluation of July 1918, and conventional ailerons were fitted to the upper wing. No record of the results of flight testing has survived. Loaded weight, 2,216 lb (1005 kg). Span, 28 ft 1 7/8 in (8,58 m). Length, 22 ft 8 2/5 in (6,92 m). Height, 8 ft 5 1/2 in (2,58 m). Wing area, 264.05 sq ft (24,53 m2). 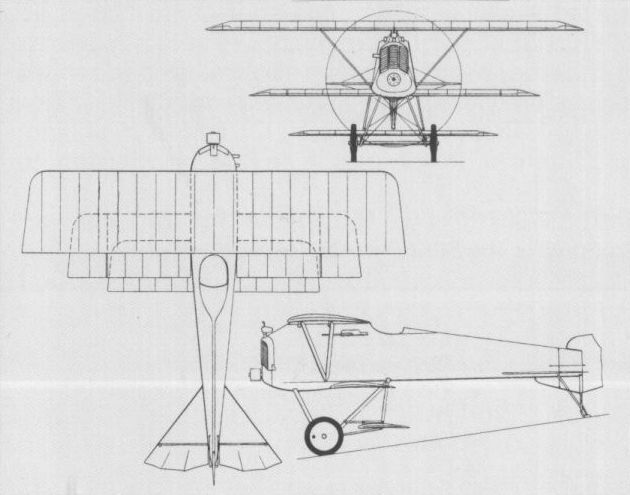 The Lloyd 40.15 fighter triplane. The unconventional Lloyd 40.16 biplane.